A draft law that allows oil and gas exploration in the 5,000 sq. km is in preparation, which is five times more than in other countries. 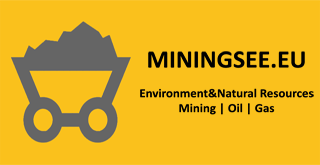 Ministry of Mining and Energy prepares in an emergency procedure Draft amendments to the Law on Mining and Geological investigations according to which the maximum area for oil and gas exploration will be 5,000 square miles, which is five times more than in other countries. In Article 36 of the future law writes: ” Surface of exploration area for geological exploration of mineral and other geological resources may amount to a maximum of 100 square kilometers, except for oil and natural gas, when the amount go up to 5,000 square kilometers”. – Everywhere in the world is the area of ​​research is at a maximum of 1,000 square kilometers, and only in our country it will be 5,000 on the mainland. Why five times more than in other countries? This means that one company controls the entire area. The Ministry claims that the law is changed on an expedited procedure for compliance with the EU legislation. That story does not fit because the surface for oil and gas exploration in Romania is at a maximum of 1,000 square km – told Aca Udicki to Kurir, president of LSV Council for Energy and Mineral Resources. He explains that the law does not provide limit research in depth, as it is the case in countries that have oil and gas, such as Russia, Azerbaijan and Qatar. – The surface for exploration in the world is divided by the surface and by the depth, thus providing that a number of different companies could obtain the right to explore. It may happen that a company does not have the technology, and it has a monopoly and does not allow entering someone who has and does research in greater depth. If Serbia has 86,000 square kilometers, they should be divided into 86 exploration areas and split them in depth. Thus the monopoly is given to a company that has six exploration areas, instead of the country – Udicki explains. We did not receive answers to questions from the Ministry regarding this topic. “You should see how much space is left that has some potential for exploitation. However, you should limit the number of concessions that one company can obtain in order not to create a monopoly. It is enough that five or six big companies that have sufficient resources, equipment and personnel for geological research are in the game”.